There is a crisis along the southern border of Texas, one that has been growing for decades with no easy resolutions in sight. It’s a crisis involving tens of thousands of homeless animals roaming the city streets and surrounding highways, animals that through no fault of their own have nowhere to go and no way to survive. I don’t pretend to have all the answers for how we as a community stop this flow of companion animals without companions. But for the animals in the cities that contract with Palm Valley Animal Center, things have improved dramatically during the past year. Outside animal welfare organizations have invested enormous time, funds and energy to help turn things around. During the past several months, Best Friends Animal Society has provided crucial staff members to enact necessary changes, providing more incoming animals with positive outcomes. The live release rate has climbed to 52 percent and continues to improve monthly. A highly skilled full-time veterinarian who specializes in shelter medicine provides lifesaving care, even to animals which previously had no hope of survival. Never before have the board and staff of this decades-old shelter and its sister entity, The Laurie P. Andrews PAWS Center, felt so encouraged about the prognosis of animals in their care. But while we focus our attention on the 100-plus animals arriving to our intake each day and trying to get them out through local adoptions, foster homes and rescue organizations throughout North America, we have to keep an eye out for what is going on in our community as a whole, what creates this crisis in the first place and what solutions are needed. The root of the problem: hundreds of unwanted puppies and kittens are born in the Valley each week. During kitten season, multiply that by 10. Some are dropped off in the countryside to fend for themselves. Some end up dead on the street. Others are picked up by animal control officers and turned in at the expense of the cities and county. But I find homes for my litters, a friend once told me. 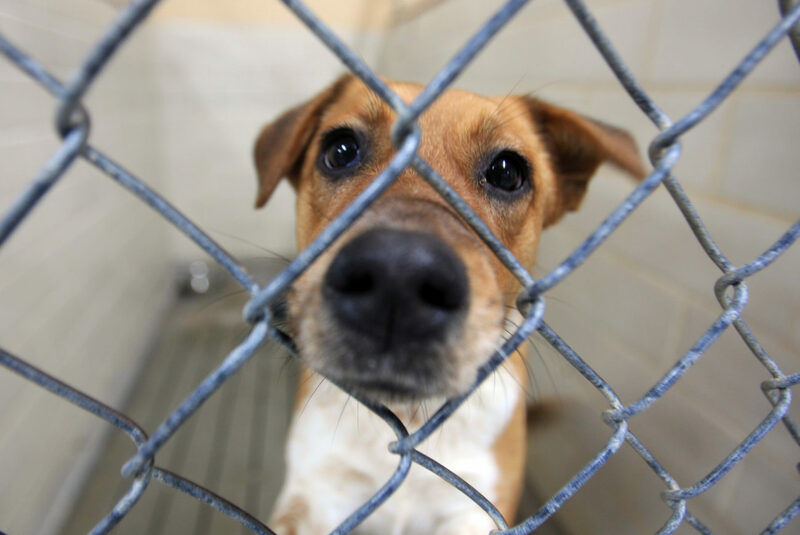 Yes, homes desperately needed by overcrowded shelter animals. Curtailing this steady flow is complicated. I used to think education was the key. But just saying everyone needs to spay or neuter their pets is meaningless unless the resources are in place to help make that a real possibility. Many people who want to spay or neuter their pet can’t afford the surgery or can’t take off from work to coordinate it. The RGV Low Cost Spay/Neuter Clinic in McAllen offers a more affordable option, but sometimes the wait for an appointment is lengthy. If the cat or dog in question lives outdoors, there’s no time to waste. Perhaps the county and its cities could look into funding or partially funding additional low cost clinics. A vacant government building could be converted to a clinic and operational within weeks. The goal would be to have one within reach of every resident of the county. Finding vets to staff these would present the main challenge, but possibly freelance vets in cities to the north of us could come down and do 50-60 surgeries in a day as needed. Perhaps cities geographically next to each other could split the cost of a clinic and vet services. Or maybe the county could spearhead the locations and have the cities contribute the medical costs for access certain days of the week. Another piece of the puzzle does involve education. Some Valley residents won’t consider spaying or neutering their pet because they fear it will hurt or maybe just the idea of the procedure pains them. Granted, it’s not easy taking pets in for surgery, but any pain involved is minimal. I’m sure giving birth to a litter hurts way worse. Maybe the owner of a female cat considers spaying immoral but doesn’t consider the immorality of abandoning litter after litter by the roadside once the kittens get too big to manage. I sometimes hear owners of male dogs say they don’t want their pet to have his “manhood” taken away. That pet is not a man and probably already has dozens of offspring dodging cars throughout the neighborhood, increasing the stray population more with each passing month. I wish I had the answers to how we get the entire Valley to no-kill by 2025, which is Best Friends’ ultimate goal. But I do have the answer to one question: Don’t want to spay or neuter your pet? Then don’t get one. Unless, of course, it’s from a shelter that takes care of that decision for you. Then maybe everyone can be part of the solution to this very real crisis on the border. Keely Lewis is a retired journalism teacher and board vice-president of Palm Valley Animal Center/The Laurie P. Andrews PAWS Center. She writes for The Monitor’s Board of Contributors.